November 8, 2012  The 24-year-old was spared the death penalty because of a plea deal. 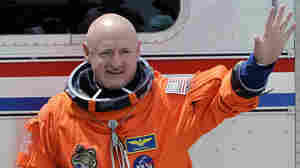 Former Rep. Gabrielle Giffords' husband, the retired astronaut Mark Kelly, said that from now on, they are "done thinking about" Loughner. August 4, 2012  Jared Lee Loughner was indicted last year for a shooting that left six people dead and 13 wounded, including former Arizona Rep. Gabrielle Giffords. He pleaded not guilty in March 2011. Democrat Wins Ariz. Test Of 2012 Themes; 'Fighting Sioux' Retired In N.D.
June 13, 2012  Ron Barber, a former aide to Rep. Gabrielle Giffords, will serve the remaining seven months of her term. Republicans tried to tie him to President Obama's policies. Barber painted his Tea Party-supported opponent as "extreme." 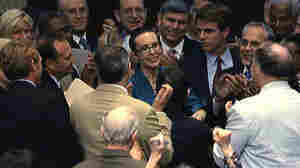 January 23, 2012  The Arizona congresswoman met with constituents and staffers who survived last year's shooting rampage. 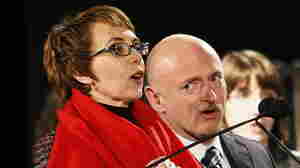 Giffords announced Sunday that she was resigning her seat to focus on her recovery. January 22, 2012  From her public appearances, including her resignation video, it was clear that Giffords, even as a powerful symbol of the strength of human will and the advances in trauma medicine, would face significant challenges in dealing with the rigors of a re-election campaign. So her decision, though a sad reminder of what has been taken from her, was not a surprise. 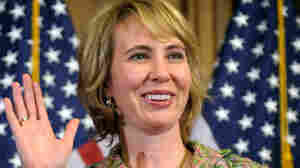 January 9, 2012  One year to the day after a gunman opened fire during a Tucson meet-and-greet with her constituents — killing six people and wounding 13 — the still-recovering Rep. Gabrielle Giffords (D-Ariz.) spoke for the first time since then at a public event. January 7, 2012  In the year that's followed the shooting that left six dead and 13 wounded — including Rep. Gabrielle Giffords (D-Ariz.) — the nation has mourned with Tucson as the city has healed. November 16, 2011  "I can think about it now without sobbing," says Suzi Hileman, who was wounded in the shooting rampage that left six people dead and 13, including Rep. Gabrielle Giffords, injured. Others who survived or lost loved ones are also finding ways to cope. November 4, 2011  In a book she's written with her husband about being shot and her recovery, the Democratic congresswoman from Arizona also says "I will get stronger." September 2, 2011  The Pima County (Arizona) Republican Party is selling chances on a Glock 23 .40-caliber handgun. Pima County part of Rep. Gabrielle Giffords' district. And the gun used to kill six people and wound 13 others, including Giffords, was a Glock. August 2, 2011  The appearance of Rep. Gabrielle Giffords on the House floor Monday cheered her colleagues — and brought tears to many of her staff members, even though they knew the moment was coming, her communications director says. 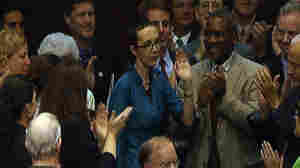 August 1, 2011  There are very few Capitol Hill news stories that could have rivaled the passage of the debt-ceiling legislation by the House Monday, which was obviously a huge story.But the return of Rep. Gabrielle Giffords to the House chamber to cast a "yes" vote on the bill was certainly one of them. June 9, 2011  The congresswoman, who continues to recover from a gunshot wound to her head suffered on Jan. 8, likely will soon feel comfortable having her picture released, her chief of staff says. May 25, 2011  Jared Loughner mumbled loudly during a hearing into whether he's mentally competent. The judge had him removed. 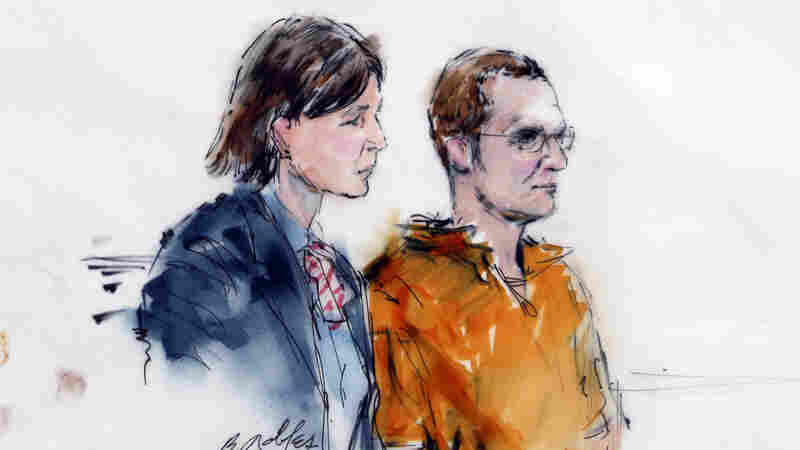 Loughner later said he preferred to watch the proceedings on TV from another room. May 19, 2011  The congresswoman now has a patch on her skull. She's recovering from the severe injuries she received when a gunman attacked an event she was holding in Tucson on Jan. 8. Six people were killed. Thirteen, including Giffords, were wounded. May 18, 2011  After someone suffers a brain injury, neurosurgeons often remove a piece of the skull to relieve pressure on the brain. Later, though, the hole needs to be patched. 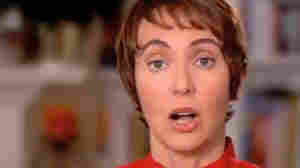 Rep. Gabrielle Giffords had that procedure performed today.